It was actually relaxing to make Middle Son a very basic and easy pattern. This is Kwik Sew 3773 sewn in fleece from Hancock Fabrics. I think I paid $12 for the fabric. 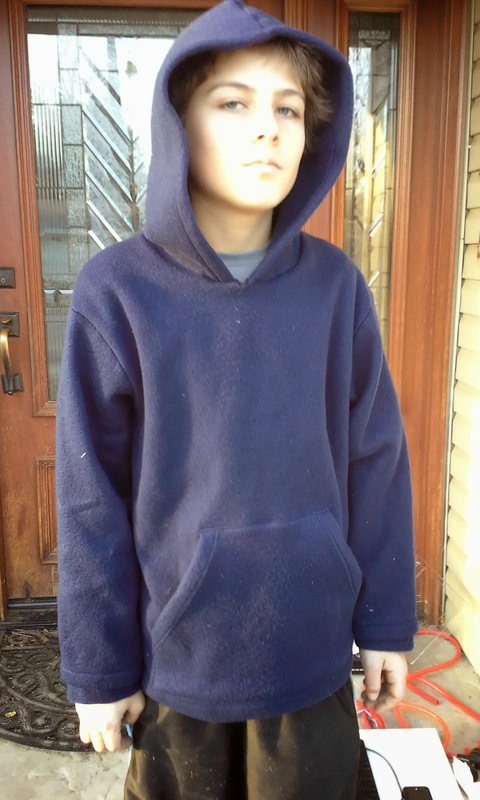 I finished his fleece pullover and pants last night. It would have been earlier, but I ended up sewing one of the legs inside out and needed to remove the serger stitches that were nearly invisible buried in the pile of the fleece. I also had to have him try on to get the hems right. I don't sew with fleece often. This fleece is different than the Polar Tech that I used for Mr. Toad's long john's. I did make some blankets with it for Christmas. The extent of my sewing with it has been rolled hems on the serger and turned hems on the sewing machine. I really like that it doesn't unravel and pins were not necessary to cut out the fabric. I just laid the tissue on top and it stayed in place. 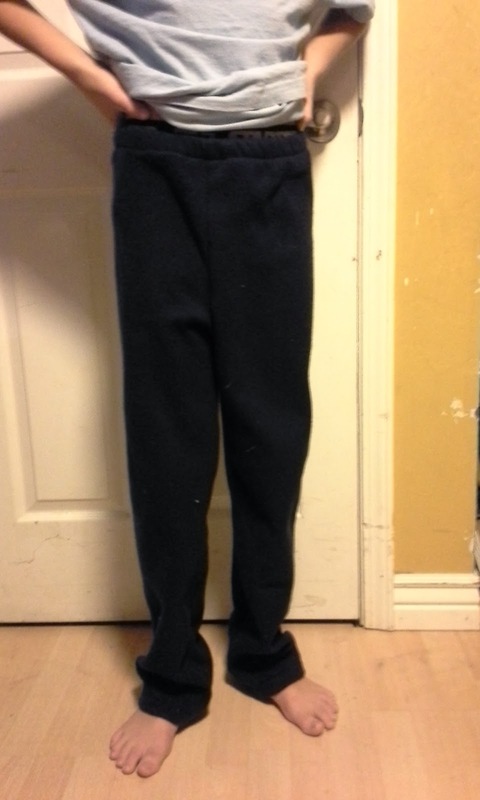 The pants would have taken about 30 minutes had I not incorrectly sewing one of the legs inside out. This was a result of texting and sewing. Don't do it. I should know better. It isn't the first time that my sewing has been affected by this type of distracted sewing. I spent more time fixing the leg than sewing the whole project. The top took less than an hour. Some of that hour was trying to track down Middle Son to get the hem right on the sleeves. As you can see, this fleece picks up any thread, lint or animal hair within ten feet. Middle Son says they are warm and cozy. He hates his picture being taken, which explains the expression. I made these for his snow camping trip. Brrrr.